After several signal for 2 manipulated images in Section Nature, which does not meet the definitions of FIAP and PSA for nature photography and due a conflict with ethical standards for photography, we took the necessary actions and procedures for finding the objective truth about them. Repeatedly we wrote to the author Dorothy Chung Ming Chan from Canada with a requirement to send us the original footage with EXIF ​​information of intact files while shooting (or likely neighboring files of these two series), but within a few months, and after the announcement of a deadline for a response, we still not received answer from Mrs. CHAN. 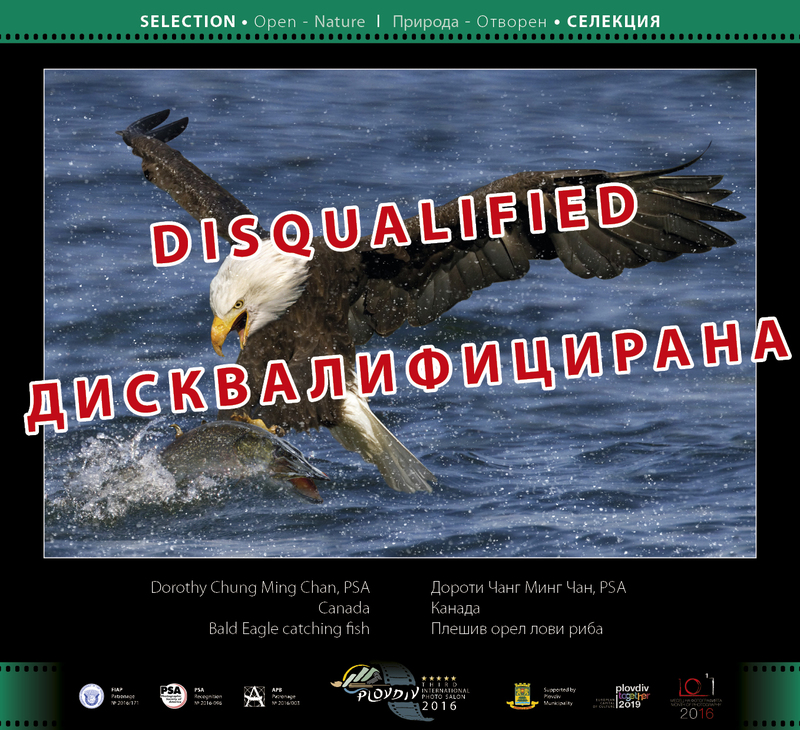 Following official notification of FIAP and PSA and on the basis of norms and standards for such cases, and failure to comply with conditions for participation, which Mrs. CHAN has accepted with the sole act of submitting in photo salon Plovdiv, we disqualified 2 photographs from her entrance – “STOP it is mine” and “Bald Eagle catching fish”. 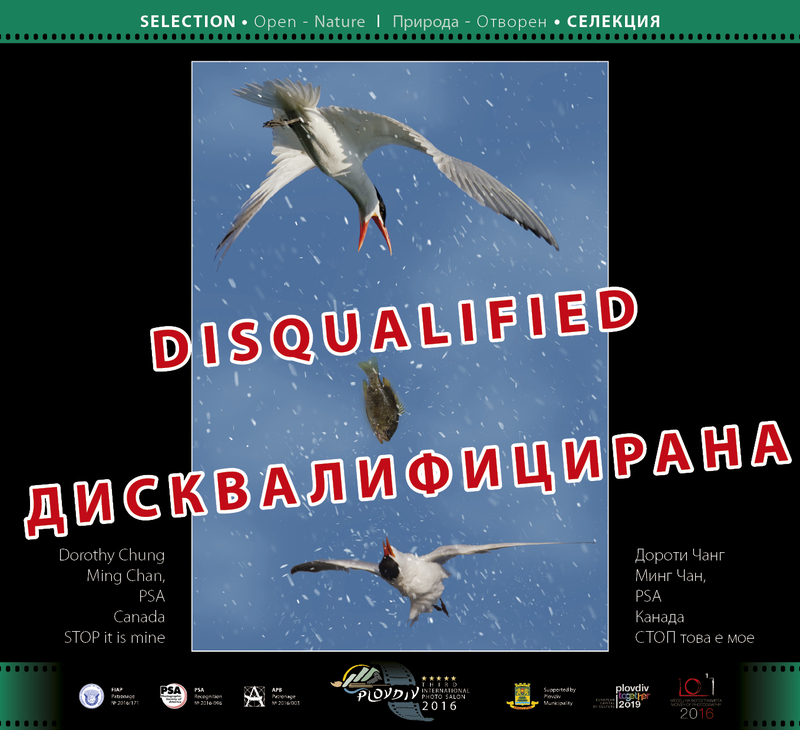 In connection with this act, we ask all prospective participants, to not participate in photo salon Plovdiv with photographs that could lead to such negatives over their image as photographer!